All photographs by Brent Kane for Martingale. Used by permission. I am almost finished knitting my latest scarf. 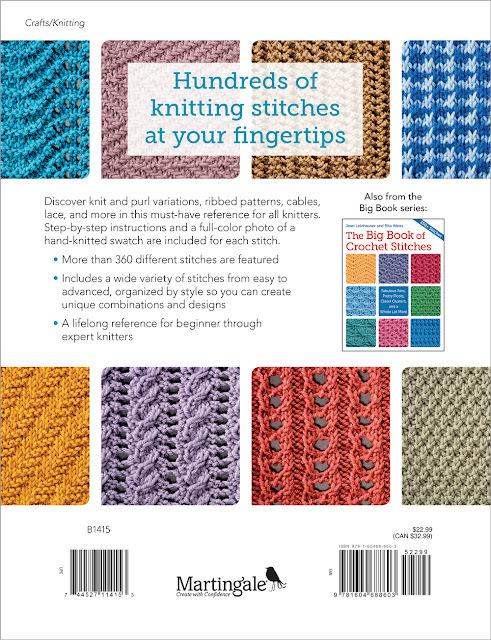 As I contemplate my next knitting project, I decided to look at this great reference book by the editors of Martingale: The Big Book of Knit Stitches. Oh, my! 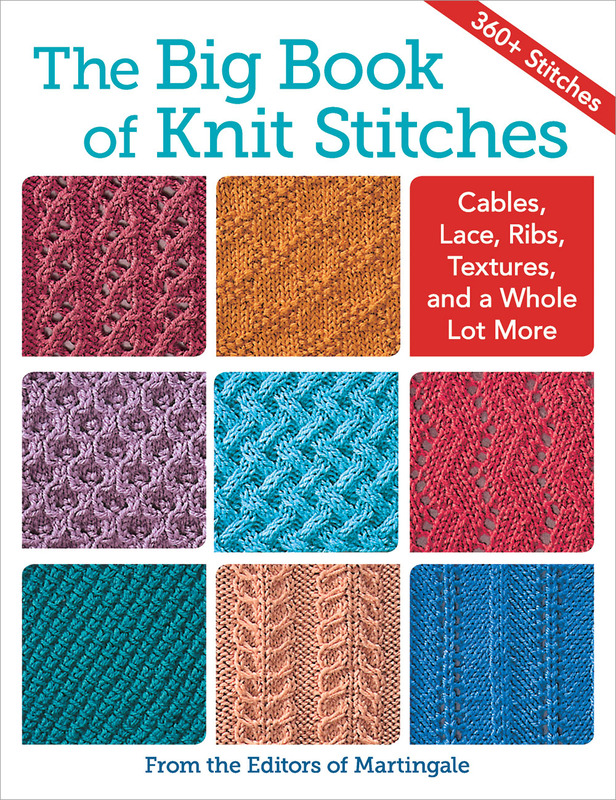 They have chosen the most beautiful stitches for this collection, and I am having a hard time deciding which one to use. Divided into five major categories, the stitches are well photographed with their construction smartly described so knitters can easily decide how many stitches to cast on in order to repeat the pattern with precision. 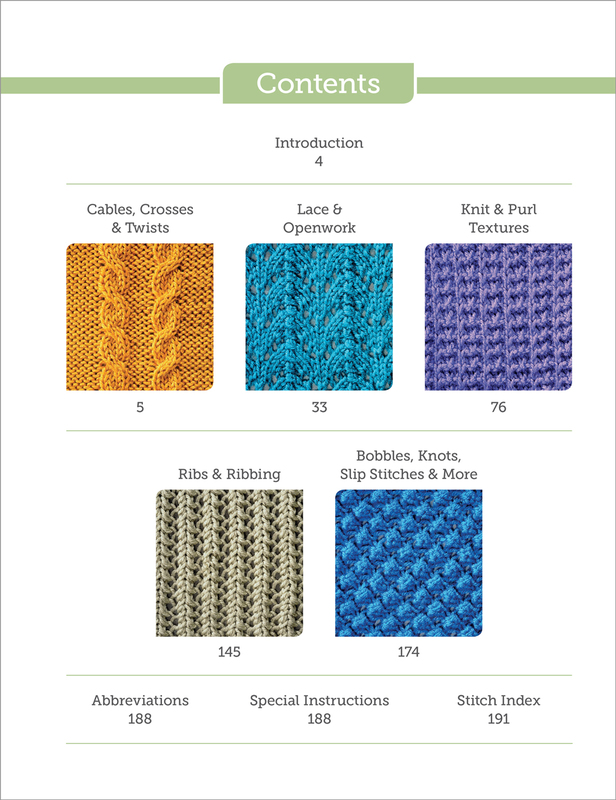 Once I choose what type of stitch I want to work with (cables, laces, textures, or slip stitches, for instance), it is great to be able to go directly to that category and select what I want - efficiency is the name of the game! The back cover gives you an idea of what you will find inside. L O V E the solid colors used on the stitches as they not only inspire me but allow us to see every detail of each stitch, unencumbered by the specs, knots or other feature of many yarns. This book is a great reference tool and will have permanent residence next to my ever-increasing stash of yarns.